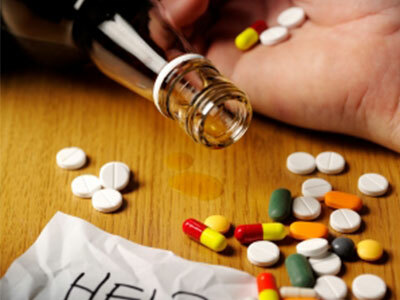 How Do I Know if My Child is Taking Drugs? Teenagers using drugs will try to hide the evidence from you, but if you know the tell-tale signs, their secret won’t be safe for long. In How to Raise a Drug-Free Kid, author Joseph A. Califano, Jr., shows you how to recognize the warning signs. • Is your child trying to cover up smells on his or her breath or in his or her room? • Are controlled prescription drugs missing from your medicine cabinet? Early intervention is a potent prevention tool. By being alert to signals that your child may be drinking and using drugs, you can stop the behavior in its early stages. Ending the behavior early significantly reduces the risk that your child’s use will lead to harm — an accident, poor school performance, legal problems, brain damage, or addiction. You are your child’s first line of defense. You are uniquely positioned to detect the early signs of drug use. You have the Parent Power and motivation to do something about it. Think about it. If your son’s friends knew that he was smoking pot, would you want to rely on them to tell you? That makes you the best — and perhaps only — chance your child has that someone will intervene and help stop the behavior. As a parent, you’ve known your child intimately since birth. You can judge when something is going wrong in your child’s life. If you see some of the Siren Signals, or are otherwise worried or suspicious that your child may be smoking, drinking, or using other drugs, there are several steps you can take. You might start by engaging your inner Sherlock Holmes and investigating the matter further. Ask your child specific questions about this or her activities, friends, and spending habits, and observe your child’s response and behavior. The information you collect may confirm or dispel your suspicions. Follow your intuition if you think there is a problem; your kids may be inclined to lie about their drinking or drug use. Ask probing questions if the things your child tells you don’t add up, but be open to the possibility that drugs aren’t the root of the problem. Some suspicious parents choose to search their child’s room or possessions, or require their child to take a drug test. As a suspicious parent, you have a right — and it is your job — to search your child’s room. A search may turn up evidence of drugs, but if it doesn’t, you still can’t be sure that your child isn’t using. If you conduct a search without your child’s permission, your child will likely be angry and will conclude that you don’t trust him or her. Tell your child that it is your responsibility to take actions that enable you to protect him and help him lead a healthy, drug-free life; that this is not a matter of not trusting, but of verifying that he is safe and drug free. 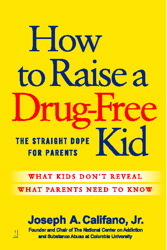 Based on nearly two decades of research at The National Center on Addiction and Substance Abuse at Columbia University, How to Raise a Drug-Free Kid: The Straight Dope for Parents offers advice and information on how to prepare your child for the crucial decision-making moments and on many of the most daunting parenting topics. Joseph A. Califano, Jr., is the founder of The National Center on Addiction and Substance Abuse at Columbia University (CASAColumbia). He served as US Secretary of Health, Education, and Welfare and has written several books. He lives in Westport, Connecticut. Visit CasaColumbia.org. Share How Do I Know if My Child is Taking Drugs?